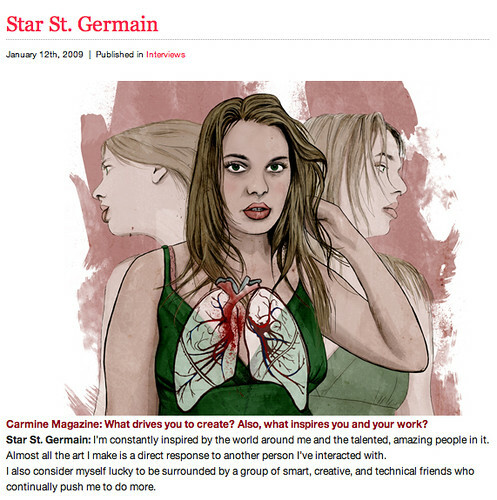 I did an interview with Carmine Magazine. Won’t you please take a look? this is a great interview dude.. It is great to find out more about your background and how it’s influenced you today. Oh.. and our workspaces look similar. I got the same desk and drawers from Ikea. Great minds think alike! Love the site! Nothing like cute animals to get me through the day lol. I am going to add your feed to my google reader. Hopefully you update regularaly. Thanks!